They’re all hand-made in Hawaii. Their ukuleles are almost all made of solid Koa, the traditional Hawaiian wood used in ukuleles. They’re professional grade and pricey (roughly $1,000 and up). The big four Hawaiian ukulele makers typically included in this group are Kamaka, KoAloha, Kanile’a and Ko’olau. 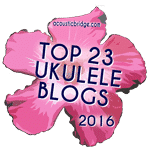 Since these brands are so coveted, several other ukulele manufacturers that do not match the criteria above have named themselves confusingly similar names like Kala, Kohala and Koyama. Not to knock these brands, but they are not considered “K Brands”. The only non-Hawaiian brand that competes with the K Brands in terms of quality, output, value retention and popularity is Martin, made in Pennsylvania (the expensive ones, any way). I’ll save Martin for another post. First, a brief primer on each of these four ukulele makers. Founded in 1916, Kamaka is the only of the four brands that can boast having been around for all of the ukulele’s big moments. The company has employed four generations of the Kamaka family and remains a family-run business. Kamaka is famous for employing hearing impaired luthiers whose heightened sense of touch can accurately determine the thickness of wood by tapping on it. The company also invented and patented the now common pineapple ukulele. Famous Kamaka players include George Harrison and Jake Shimabukuro. A simply appointed tenor ukulele from Kamaka sells for about of $1,300. To learn more, watch Heart Strings, a PBS documentary chronicling the story of Kamaka. KoAloha was founded in 1995 by Alvin Okami and has earned a reputation for excellent ukuleles that are instantly recognizable. Almost all KoAlohas have a cool seven-pointed headstock and a “musubi” (Japanese rice ball) shaped sound hole. Famous KoAloha players include Herb Ohta Jr., Daniel Ho and Victoria Vox. A simply appointed KoAloha tenor sells for about $1,100. Watch KoAloha Afternooon to get to know the KoAloha team and hear some great playing, too. Kanile’a means “joyful sound” and was started by Master Luthier Joe Souza and his wife Kristen some time around 2000. Kanile’a makes four models of ukulele, with the common sizes available in each. They range from simple and unadorned (K-1) to stunning heirloom instruments (K-4). Souza is known for his use of UV cured gloss finish, a superior finishing technique first pioneered by Taylor guitar and unique to Kanile’a among Hawaiian ukuleles. Among the notable artists who play Kanile’as is Aldrine Guerrero of Ukulele Underground. A simply appointed tenor Kanile’a sells for about $1,000. To learn a lot about Joe’s building philosophy, watch The History of the Hawaiian Ukulele with Master Luthier Joe Souza. Of the four, Ko’olau is the only brand that doesn’t currently offer stock instruments. In true luthier fashion, you have to custom order a Ko’olau and wait months for it to be built. The company was founded by John Kitakis in the 90s and remains a family owned and operated business. Kitakis’ son Andrew owns The Ukulele Site, a top online retailer of Hawaiian ukuleles. A simply appointed Ko’olau tenor starts at around $2,000. For those that can’t afford (or wait!) for one, the company also makes the highly regarded and affordable Pono brand, made in Java under direct supervision of Ko’olau. Watch Custom Ukulele! to learn all about how the Ko’olau custom ordering and build process works. Aside from playing them, what better way to get to know these various brands than to watch videos comparing them! Thankfully several have been made. Put on your headphones and listen carefully. Can you hear each brand’s distinct voice? This video made by The Ukulele Site compares Kamaka, Kanile’a and KoAloha tenors. This video, also made by The Ukulele Site, compares sopranos from all four brands. This video pitches Kamaka and KoAloa against a Martin. And finally this video puts a KoAloha up against a Martin. Do you own one or more of these fine instruments? I’d love to hear your opinions in the comments below. What made you decide to buy one brand over the other and what has your experience been?